I’m happy to announce that I have successfully switch careers and now am working in aviation! I worked extremely hard and with a bit of good timing within two weeks after my checkride I got hired! It’s been a whirlwind of a two weeks since I was hired since I had to move halfway across the country and be ready to start. Luckily, in a way, being unemployed help so I could focus on what I needed to do for the move. But first, the process of getting hired. I applied to 2-3 jobs every day, I wasn’t picky and didn’t have a right to be with no aviation work experience. An airline (Part 121) or corporate charter (Part 135) I applied. While technically, Part 135 doesn’t require a dispatcher, most have licensed dispatchers as flight followers. 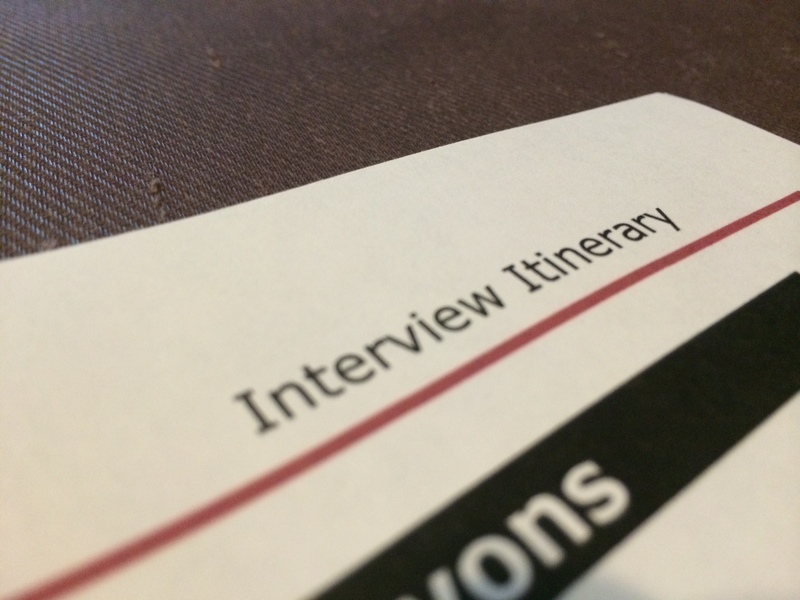 The day I applied to one company, I got an email to do a phone interview! I was excited but extremely nervous. Was it going to be technical or just a regular job interview? It was in the city I did my dispatch school, so I emailed the president of the school and my instructor. They put me in contact with someone who works at the company. I arranged to call him and get all the information I could. We talked for a bit and he gave me more insight, the next day I had my phone interview. Within 15 minutes it was done and two days later I was flying out to their headquarters to interview. It felt nice to be positive spaced somewhere, instead of non-rev! I was on a tight schedule with my flights and only had an hour for my interview. I met with the head of Flight Control and we talked for 50 minutes. Nothing technical, just matching my past experience to what the job required. I asked him my questions. We talked so long I didn’t have time to do my HR interview, so we had to schedule that over the phone. It was killing me I had to wait over the weekend. I just wanted to know! Monday morning I did my interview and by the end of day Monday I got my job offer! Now, I was a bit nervous. I decided to go with a Part 135 job instead of a Part 121 job. While I think airline experience would be great right now, this job offered a much higher salary and relocation assistance. I can save up for a year or two and decide to be poor and work for a regional before going to a major. Or hopefully skip regionals? A girl can dream. The next two weeks were crazy. I tried to find an apartment without seeing it. Jake had to work and couldn’t help, but had enough time off when we actually moved, so I was grateful for that. Thursday we left NYC for a 13 hour drive without an apartment for sure. That was nerve wracking. I also was forced to drive the 16′ truck through Manhattan while he drove our new car because I couldn’t drive stick shift. We made it! Everything is set up and it’s great, such a difference from NYC! Today I had my first day on the job. It wasn’t the best day to start because of Tropical Storm Bertha causing lots of problems. I sat reading a manual most of the day, but I’m excited for the rest of the week and learning more about the job! I can’t believe I made this career change so quickly and am so thankful! I had no idea how to make a dispatcher resume. I knew I needed someone with more experience than me and also make me look desirable even with my lack of experience. I applied to every job sounding like a dispatcher. I used Simplyhired.com, Indeed.com, and went to every regional website career section every day. You cannot underestimate the importance of networking. You want to “do it on your own”? That’s silly, everyone needs help and if you can get it, go for it! There’s no shame in that at all. Those were the things that helped me the most. I’m so excited to be working in aviation and get to avgeek out every day! Now, just to save up some money and go flying again! Thanks, Karolyn. I’m glad you’ve enjoyed my posts! Oh, if only I was close I’d love to build time together! I’m in Ohio now. Congrats on your new job, hope everything works out for you and goes well! Thank you! I do too! It seems to be going well so far. Congrats Caitlin! All the best in your new job!